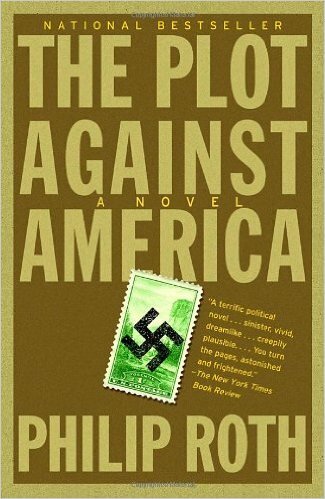 Without a doubt Philip Roth is my favorite author, and The Plot Against America once again reminded me why that was true. This may very well be the first alternative history book I’ve ever read and I have to say, I kind of loved the format. Basically, FDR is defeated and instead the Anti-Semite Charles Lindbergh becomes president. His main platform is one of isolationism – i.e. not becoming involved in WWII. He makes ‘agreements’ with Hilter and eventually the majority of Europe, and eventually Mexico, are taken over by Nazi rule. Our young protagonist, who goes by the name of Philip Roth, is a young Jewish boy living in New Jersey. President Lindbergh implements several policies that break up largely Jewish areas and disperse their populations throughout southern states with a low population of Jewish citizens. The purpose of these initiatives is to ensure that there is no Jewish uprising. This book was harrowing and terrifying. I kept having to remind myself that it didn’t happen, that we are all OK, (well, except the 6 million who really did die during that period…). I am not typically a fan of historical fiction, but Roth proves his chops by making the narrative informative, engaging and entirely believable. This entry was posted in book reviews and tagged alternative history, book review, fiction, roth. Bookmark the permalink.